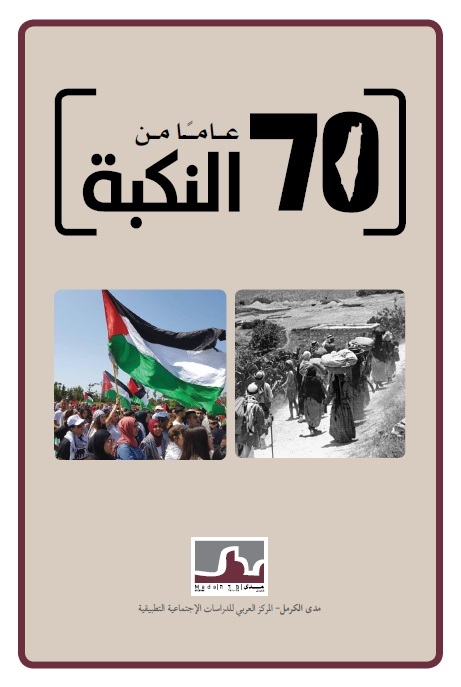 In the wake of the 70th anniversary of the Nakbah, Mada al-Carmel, the Arab Center for Applied Social Research, has released a new E-book entitled: “70 years of Nakbah”. This E-book edited by Dr. Mohanad Mostafa, includes a series of articles by Palestinian researchers, and aims to deepen the debate on the idea that the “Nakbah is still continuing”. It seeks to contribute to the positioning of the Palestinians in Israel in the framework of return to 1948 with insisting on their continuous struggle to attain their rights in their homeland, to achieve a deeper understanding of their reality, and provide an analysis of their relationship with the state. This entry was published in Books, Publications, Uncategorized.